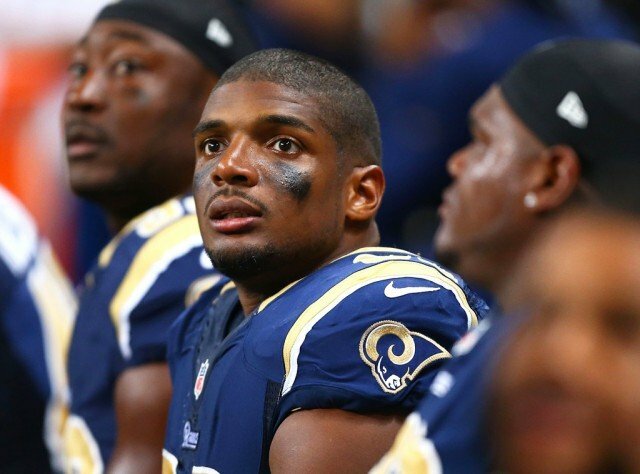 Michael Sam, the first openly gay NFL player, has failed to make the St Louis Rams’ final roster. The Rams filed their roster before August 30 deadline and Michael Sam was not among the 53-strong squad. The 24-year-old defensive end can still be picked up by another team ahead of the season-opening matches next week. Michael Sam’s move to declare that he is gay in February was applauded by many, including President Barack Obama. He was one of 22 players waived in the Rams’ final cut. Michael Sam had been selected by the Rams on the final day of this year’s draft in May and he kissed his boyfriend as a national television audience looked on. Head coach Jeff Fisher had said he was mainly focused on what the footballer could do on the field. Jeff Fisher said on Saturday there would be no challenge for any team that picked up Sam. “He’s not about drawing attention to himself. He kept his head down and worked and you can’t ask anything more out of any player for that matter,” Jeff Fisher said. “The most worthwhile things in life rarely come easy, this is a lesson I’ve always known. The journey continues,” Michael Sam tweeted after the Rams’ decision was announced. Michael Sam played college football at the University of Missouri.